We are democratizing healthcare with cost-free self-diagnosis. Melanoma is the deadliest form of skin cancer. Though this disease is highly treatable with an early diagnosis, the cost of getting an appointment with a dermatologist acts as an obstacle, deterring many people from getting early treatment. 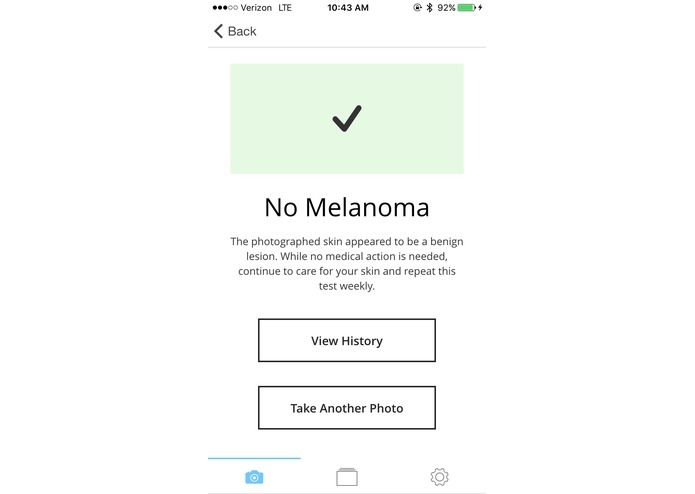 We wanted to build a solution that would allow people with suspicious moles on their body to know instantly whether that doctor's visit may be worth it or not, and get the medical attention they need earlier. 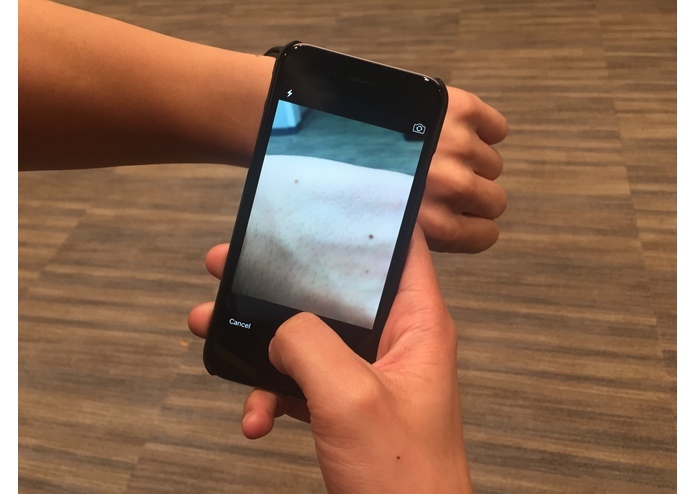 Our app uses computer vision to analyze photos of skin and machine learning to compare results with a pre-exisiting database of benign and malignant melanoma skin lesions. On the frontend, we used Ionic and Cordova to build a native iOS application. On the backend, we had an Express webserver running on an AWS EC2 instance to handle images sent from the user, and a Python script using the OpenCV library to classify images of moles as "harmful" or "not harmful." The computer vision algorithm preprocesses the image to remove noise, segments out the contour of the mole, and extracts features based off the standard ABCDE rule used by dermatologists to diagnose melanoma. Disclaimer: The information provided in this site, or through linkages to other sites, is not a substitute for medical or professional care, and you should not use the information in place of a visit, call consultation or the advice of your physician or other healthcare provider. 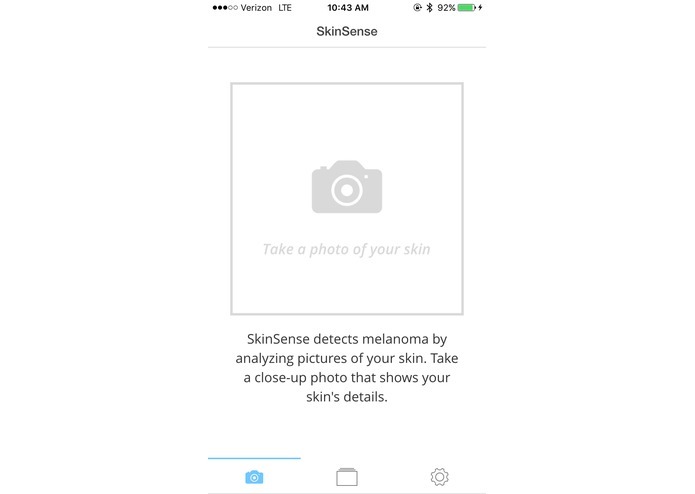 SkinSense is not liable or responsible for any advice, course of treatment, diagnosis or any other information, services or product you obtain through this site. Worked with Angela on the iOS application and front-end design using Ionic + HTML/CSS/AngularJS. Made the promo video in 30 minutes.